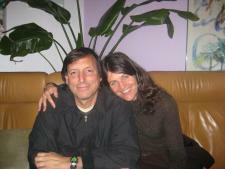 We have 2 spots left for the May 9-10 Satsang and 9 spots left for May 10 only in santa Cruz, CA. This will be an unusual Satsang with people who came to my work in many different eras from just this past month, all the way back to the authentic theatre troupe days 20 years ago! Tibetan Bells and lovely music will assist a very deep profound and joyous as masters gather and animals from many places in the world send their soul support. If you missed Mexico, come breathe in the energies of spaciousness and dissolving brought back. Recall the rhythms of life that originate in the middle of the Earth, in the Sea and in the galaxy. Come into the circles and spirals that are the peace we find inside the cells and the wind. Settle into the feet where Sacred human meets Sacred Earth and be home in the eternal tunnel to endless waves of grace. Cost :If you already own the home study Kit you may attend the Satsang for $200 instead of the full price of $400 which includes materials. A ticket for Sunday only is $97 (no materials included).